The U.S. Air Force's single most important base and home of the Strategic Air Command is 30% underwater. 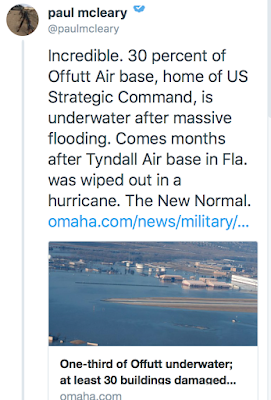 Even the HQ building at Offutt AFB, south of Obama, is flooded. 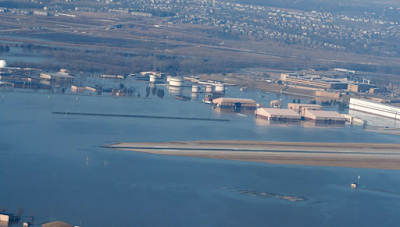 The photo below shows the main runway underwater yesterday with U.S. 75 in the background. 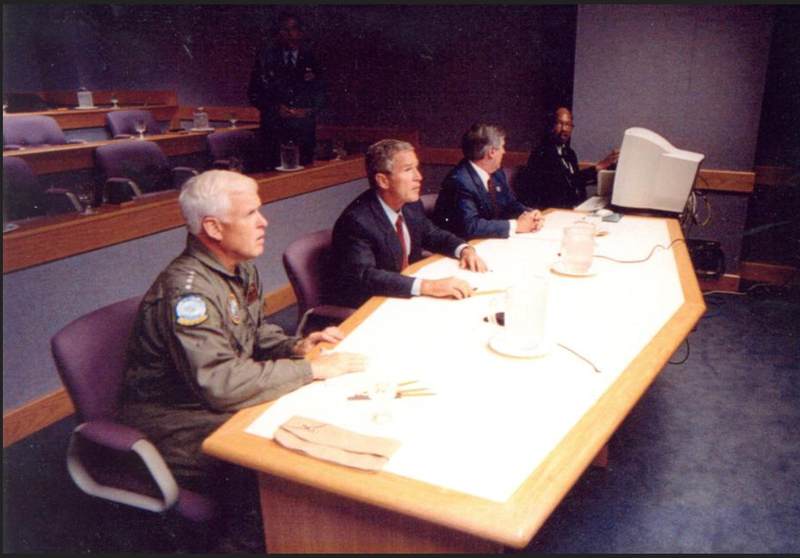 The damage may be understated in that a number of critical facilities are underground. For example, this command bunker (depicted with President Bush on September 11, 2001) is underground. 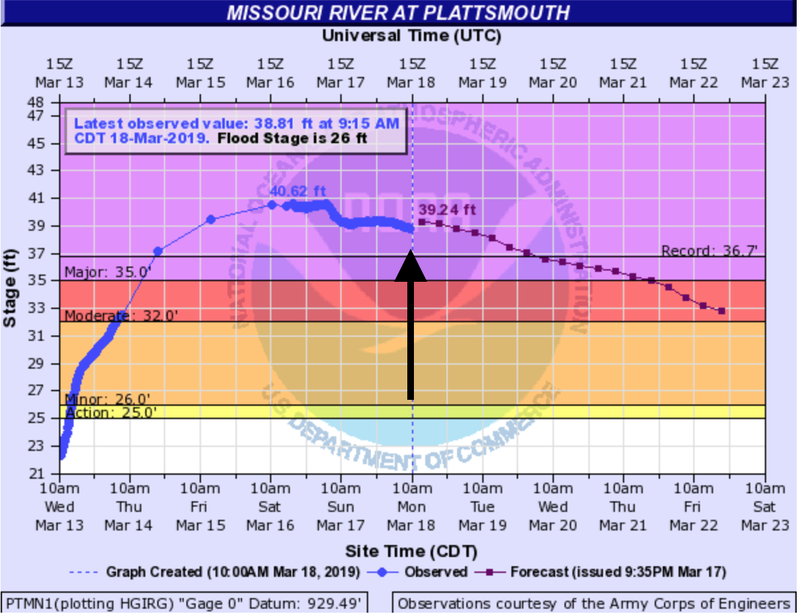 The nearest flood gage to Offutt is at Plattsmouth, Nebraska. 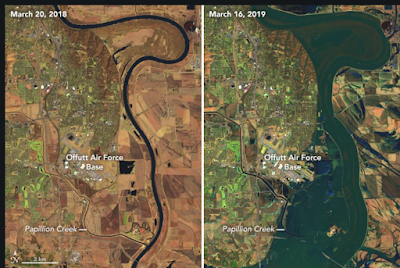 The crest was yesterday and the water has begun to fall. Arrow indicates the latest reading. This entire event has received far less attention in the mainstream media than it should. CNN home page this morning. 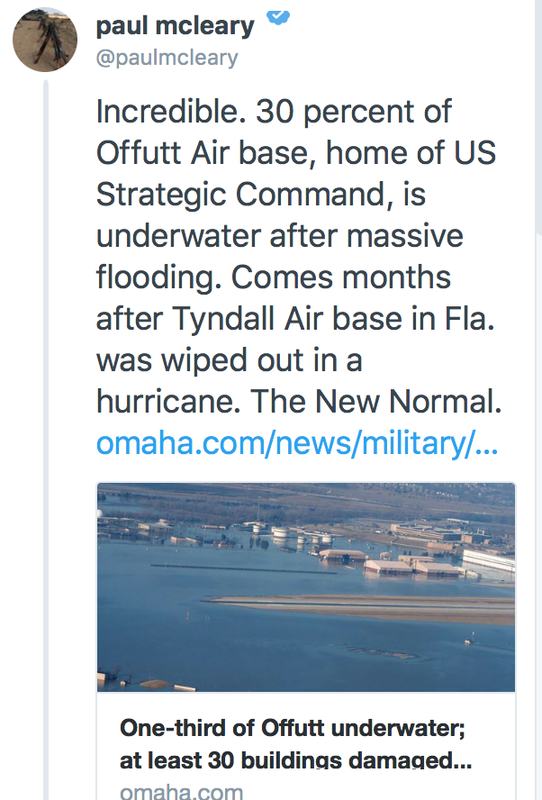 The flood is not mentioned. The lack of coverage hasn't stopped the global warming nonsense. 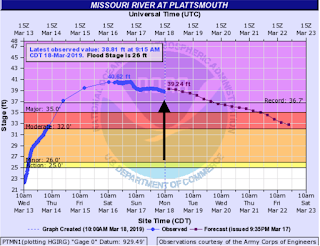 While this is the greatest flood of record at Plattmouth, it is not the worst flood ever. That was in 1844 before flood gages existed. World temperatures were then still at Little Ice Age values at that time. 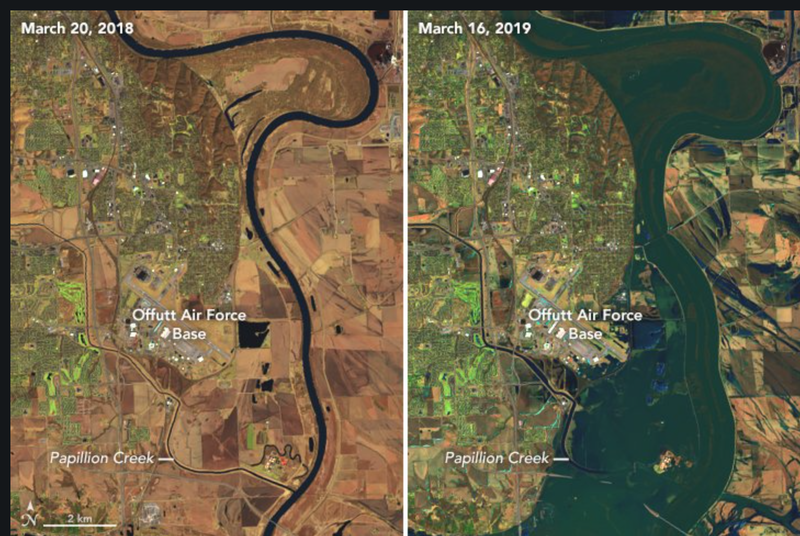 Addition: Satellite image of the Offutt flood.